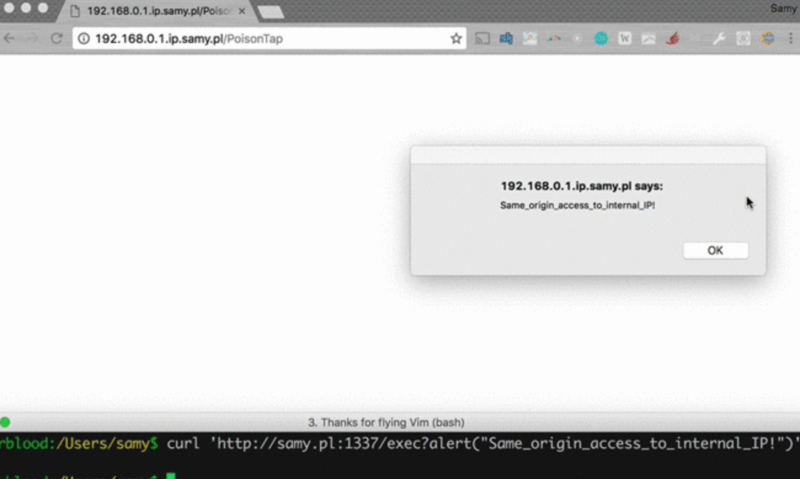 Samy Kamkar posted his a very cool attack script that turns a Raspberry Pi Zero as well as other smaller tools such as the Lanturtle into a backdoor injecting tool that can breached screen locked computers as long as their web browsers are active. Its a very interesting technique I plan to test with my LANTurtle later today and post a part 2 to this once I try it out. Samy’s research can be found HERE and shown below. PoisonTap is built for the $5 Raspberry Pi Zero without any additional components other than a micro-USB cable & microSD card, but can work on other devices that can emulate USB gadgets such as USB Armory and LAN Turtle. 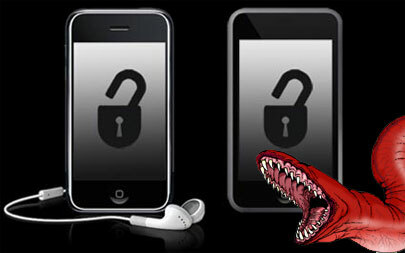 PoisonTap produces a cascading effect by exploiting the existing trust in various mechanisms of a machine and network, including USB, DHCP, DNS, and HTTP, to produce a snowball effect of information exfiltration, network access and installation of semi-permanent backdoors. backdoor.html – Whenever a http://hostname/PoisonTap URL is hit to exfiltrate cookies, this file is what is returned as the force-cached content. 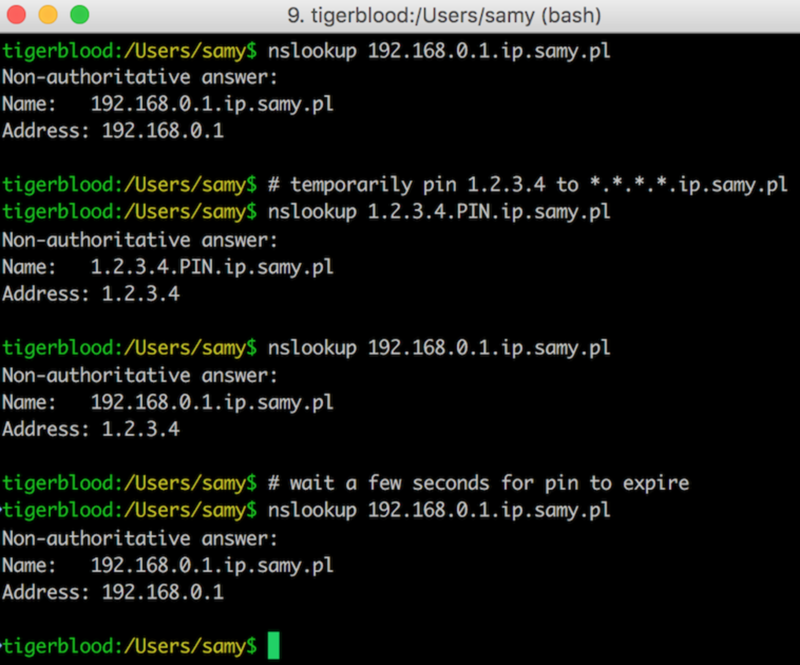 It contains a backdoor that produces an outbound websocket to samy.pl:1337 (adjustable to any host/port) that remains opens waiting for commands from the server. This means when you load an iframe on a site, such as http://hostname/PoisonTap, this is the content that gets populated (even after PoisonTap is removed from the machine). 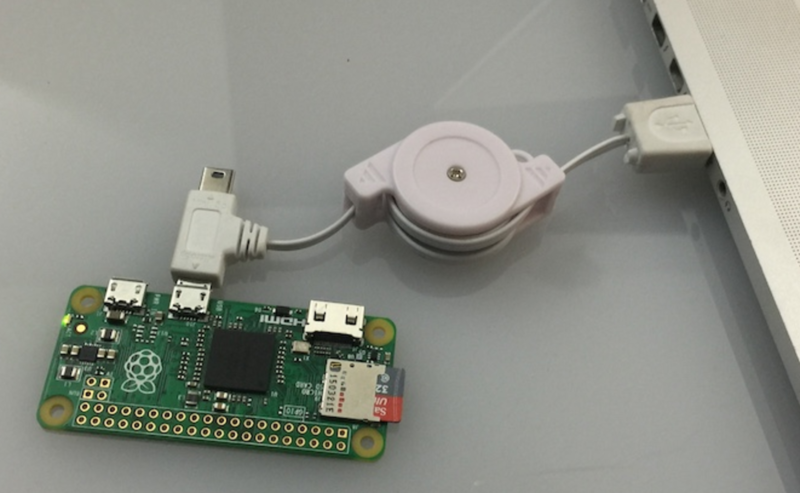 pi_poisontap.js – This runs via Node.js on the Raspberry Pi Zero and is the HTTP server responsible for handling any HTTP requests intercepted by PoisonTap, storing siphoned cookies, and injecting the cached backdoors. 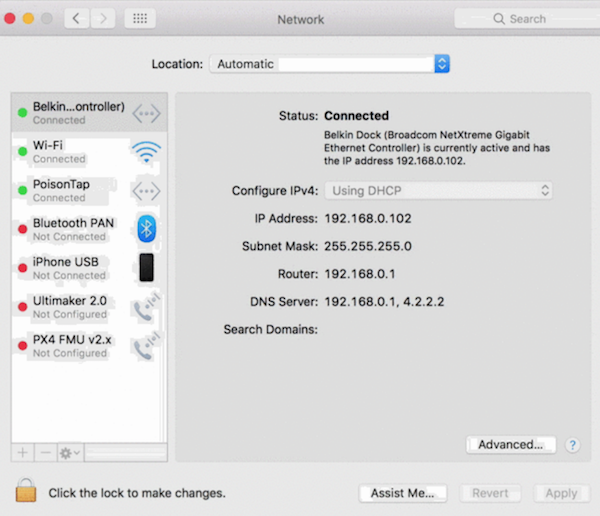 pi_startup.sh – This runs upon startup on the Raspberry Pi Zero in order to set the device up to emulate an Ethernet-over-USB gadget, set up our evil DHCP server, allow traffic rerouting, DNS spoofing, and to launch pi_poisontap.js above. 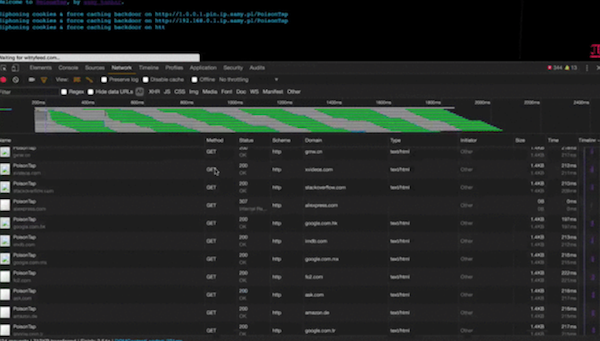 poisontap.cookies.log – This file is generated once the user’s machine starts sending HTTP requests to PoisonTap and logs the cookie from the browser along with the associated URL/domain it belongs to.